Manage the movement of goods into and out of production facilities to ensure efficiency, effectiveness, or sustainability of operations. Direct administrative activities directly related to making products or providing services. Prepare staff work schedules and assign specific duties. Monitor suppliers to ensure that they efficiently and effectively provide needed goods or services within budgetary limits. Direct and coordinate activities of businesses or departments concerned with the production, pricing, sales, or distribution of products. Perform personnel functions such as selection, training, or evaluation. Plan or direct activities such as sales promotions that require coordination with other department managers. Set prices or credit terms for goods or services based on forecasts of customer demand. Implement or oversee environmental management or sustainability programs addressing issues such as recycling, conservation, or waste management. Administration and Management— Knowledge of business and management principles involved in strategic planning, resource allocation, human resources modeling, leadership technique, production methods, and coordination of people and resources. Customer and Personal Service— Knowledge of principles and processes for providing customer and personal services. This includes customer needs assessment, meeting quality standards for services, and evaluation of customer satisfaction. Personnel and Human Resources— Knowledge of principles and procedures for personnel recruitment, selection, training, compensation and benefits, labor relations and negotiation, and personnel information systems. Clerical— Knowledge of administrative and clerical procedures and systems such as word processing, managing files and records, stenography and transcription, designing forms, and other office procedures and terminology. Economics and Accounting— Knowledge of economic and accounting principles and practices, the financial markets, banking and the analysis and reporting of financial data. Several years of work-related experience, on-the-job training, and/or vocational training. Leadership— Job requires a willingness to lead, take charge, and offer opinions and direction. Dependability— Job requires being reliable, responsible, and dependable, and fulfilling obligations. Initiative— Job requires a willingness to take on responsibilities and challenges. Integrity— Job requires being honest and ethical. Self Control— Job requires maintaining composure, keeping emotions in check, controlling anger, and avoiding aggressive behavior, even in very difficult situations. 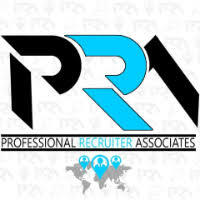 For immediate consideration, please forward a copy of your current resume to info@profrecruiters.com referencing job #1529 or a link to this job.